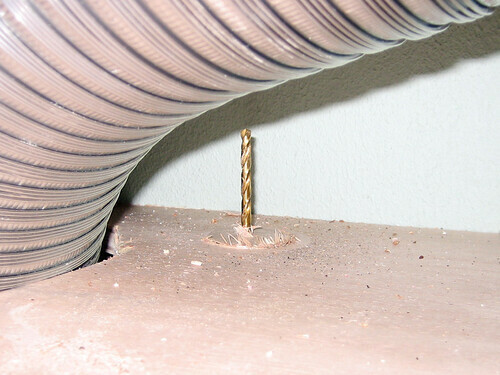 This is a tough spot for power tools. I should have cut thees holes before hanging the wall cabinet. Three jigsaw blades later the vent hole is cut and in a snap the electrical. 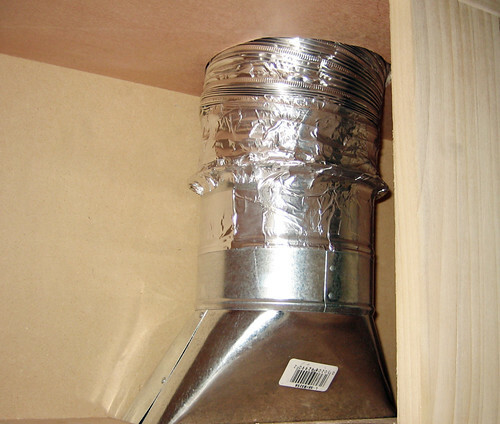 The mircohood vents to the outside via a 10" x 3.25" straight boot, a connection ring, and some semi-ridge flexible ducting. It's running through the existing ceiling hole out the roof.